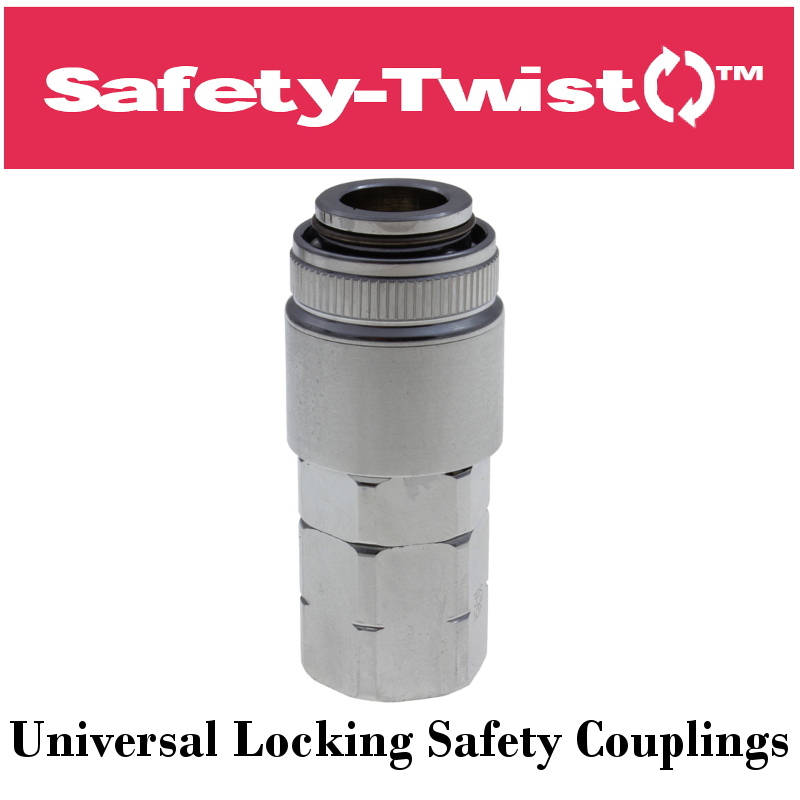 ATP’s Safety-Twist™ Locking Universal Safety Coupling features a secure method of connection. 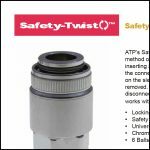 The Safety-Twist™ automatically connects by simply inserting a plug into the coupling. 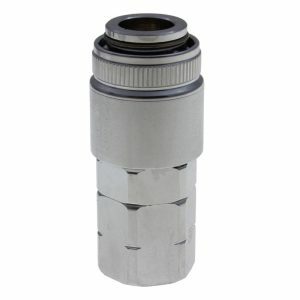 Once connected, a sleeve rotates and locks the connection. 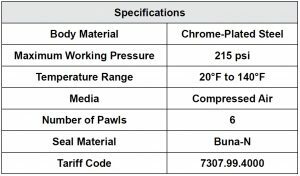 To disconnect, simply twist and pull back on the sleeve. Downstream pressure is safely vented before the plug can be removed. 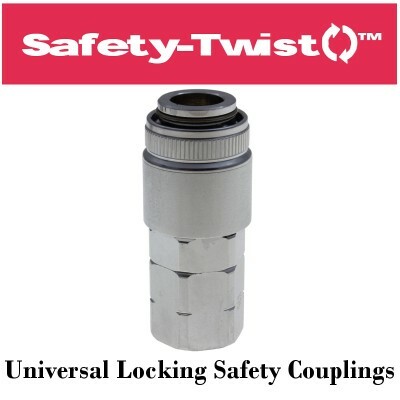 The locking connection is suited for assembly areas where unintended disconnection would damage surrounding equipment. The Safety-Twist™ works with all 1/4″ Body Industrial, TruFlate, and ARO Plugs.